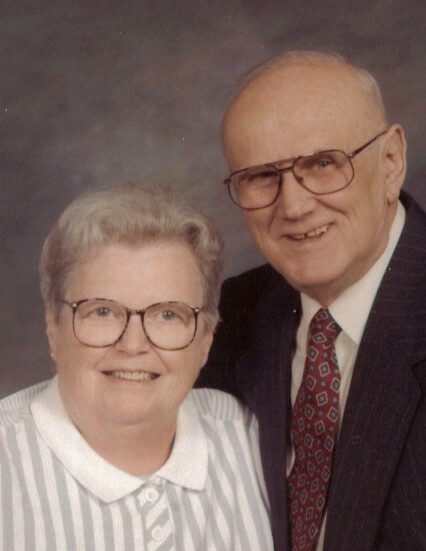 Visitation for Irene Wayner, 91, of Madison, will be Tuesday, March 26, 2019, from 4:00 – 7:00 PM, at Spear Mulqueeny Funeral Home, 667 Mentor Avenue, Painesville, Ohio. There will be a prayer service at 5:00 PM at the funeral home. Irene was born June 25, 1927 in Pennsylvania to Harold and Ruth (Quigly) McConahy. She passed away March 22, 2019 at Cardinal Woods in Madison. Irene was employed at I R C Fibers for 47 years. She enjoyed taking gambling trips, traveling and especially loved spending time with her family. She was lovingly called “Momma”, by her husband, Bernard. She is survived by her husband of 72 years, Bernard Wayner; sisters-in-law, Delores Fratino, Martha Wayner and Rosie Wayner; brothers -in-law, Joe Wayner and Ray Wayner; and many nieces and nephews. Irene was preceded in death by her parents; brother, Dale McConahy and infant son, Dale Wayner. The family would like to thank Hospice of the Western Reserve and the staff of Cardinal Woods for the wonderful care they gave Irene the last few weeks of her life. Also, special thanks to our nephew, Kenny. In lieu of flowers donations may be made in Irene’s memory to Hospice of the Western Reserve, P. O. Box 72101, Cleveland, Ohio 44192.